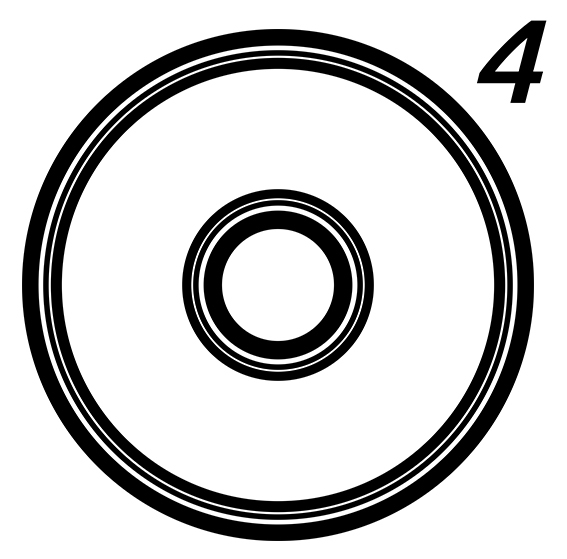 Delighted to be showing films and a collection of 3 flockOmania objects at KORU 6, in Finland. IMATRA ART MUSEUM, from 20th of August to 15th of September 2018. Opening ceremony in the evening of 17th of August 2018. HELSINKI, TIIVISTÄMÖ from 11th to 27th of October, opening ceremony in the evening of 10th of October 2018. Speakers included Boris Bally (USA), Elizabeth Shaw (Australia), Melissa Cameron (USA), Johanna Zellmer (NZ / Germany) Simon Fraser (UK) and many more! Our conference team, led by Laura Bradshaw-Heap (of Suspended in Pink fame) and Rachel Darbourne (JUNK: Rubbish to Gold), worked hard to construct a great and varied programme. This included talks by makers, educators & exhibition curators, performances (expect surprises), demonstrations and tech talks amid networking breaks with plentiful cake. Delegate fees : £180 for members, £220 for non members, and £100 for students and new graduates, includes meals & refreshments. This includes the programme from Friday 7th July 3.00 to 9.30 pm, including dinner and evening event, Saturday 8th 9.30 am to 9.30pm with lunch, dinner & evening event, and Sunday 9th from 9.30am to 3.00pm including lunch. Plentiful tea, coffee, juice, water & cake are also included. Day tickets: Friday afternoon costs £50, students £30, dinner £22 extra (must be booked in advance). Saturday only £80 / £50, evening & dinner (again must be booked in advance) £30 extra. Sunday only £50 / £30, includes lunch. Delighted to announce that flockOmania will be part of Culture, Costume and Dress. Dress in all its manifestations, whether clothing, jewellery or other accessories, is a fundamental aspect of culture, and one that culture references. This multi-disciplinary, international conference will explore the nature of dress as it relates to, responds to, and influences culture. Clothing reflects the customs and concerns of society, and often reveals its underlying motivation. Nowhere is this more apparent than in the world of fashion, which almost unknowingly expresses the zeitgeist of its time. The perspective of history allows us to discern more clearly the power of dress to shape lives and influence society. Politically, clothing has been used to control certain groups; socially, clothing has provided status to individuals; and psychologically, dress both defines us and contributes to our sense of self. This significance has been effectively exploited by the arts, particularly the visual arts, where costume is often used to convey particular themes, as for example, the costume adopted in royal portraits. In literature too, dress can provide insights into character and personality; and in the theatre, costume creates a persona for the audience and the actor who inhabits it. Through presentations, posters, panel discussions and performance, the conference will consider the many aspects of costume and dress, exploring their inter-connections and reflecting on their significance. It will include an exhibition of costume and other artefacts that articulate the conference themes. Internationally recognised for its excellent facilities, and described by Patrick Brill as the “Aldgate Bauhaus” Easy to get to, Central House is located minutes from Aldgate and Aldgate East tube stations, served by the Circle, Metropolitan, District and Hammersmith & City lines. Both Liverpool Street and Fenchurch Street are but a short walk away. Guest Speakers: Dom Breadmore, Elena Cologni , Luigi Galimberti, Saskia Holmkvist, Boseda Olawoye, Helen Varley Jamieson, Rachelle Viader Knowles and Katherine Wimpenny. Performers: Sally Doughty, Rachel Krische and Lisa Kendall, Vida Midgelow and Jane Bacon, Michael Pinchbeck and work in progress by Chloé Déchery and Jane McKernan 2016 InDialogue resident artists. In partnership with Dance4, InDialogue has invited artists who are making creative and challenging live works in the UK and internationally to present their work. The performance evening will celebrate what it means to be in dialogue, considering diverse approaches to practice. Artists include Sally Doughty, Rachel Krische and Lisa Kendall, Caroline Horton and Jacqueline Taylor, Vida Midgelow and Jane Bacon, Michael Pinchbeck and work in progress by the 2016 InDialogue resident artists. Tickets for performance evening only are available from Dance4. Guan Shan Yue Art Museum, Shenzhen, Guangdong Province, China P.R. Live improvised interventions with the dance artists will take place on the following days. Please note the Parkside Gallery is closed on Sundays and will be closed on Saturday 19th March and Saturday 26th March. The dance artists worked in the Gallery between 2pm and 5pm on the following days. The first flockOmania took place at the Lanchester Gallery, Coventry University’s city centre glass fronted arts venue. Opened in 2012, the gallery is host to a diverse range of exhibitions and events. The Lanchester Gallery programmes a number of exhibitions throughout the year, presenting a culturally diverse range of contemporary art, design and media. It provides a stunning venue for Coventry School of Art and Design and the University as well as the city and wider regional community. The Lanchester Gallery is 10 minutes’ walk from Coventry train station and is located in Coventry University’s main student building, The Hub between the Graham Sutherland Building and the Herbert Art Gallery and Museum, which is clearly sign posted throughout the city.